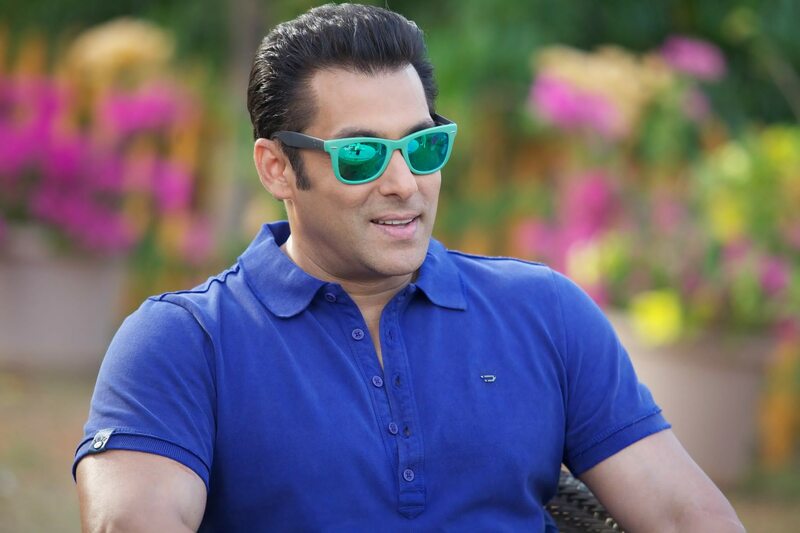 Salman Khan! Just hearing his name evokes images of Bollywood and the perfect filmi hero. His films are always blockbusters with their masala mix of great scenes, killer action, colorful dance and, of course, romance! He IS Bollywood! 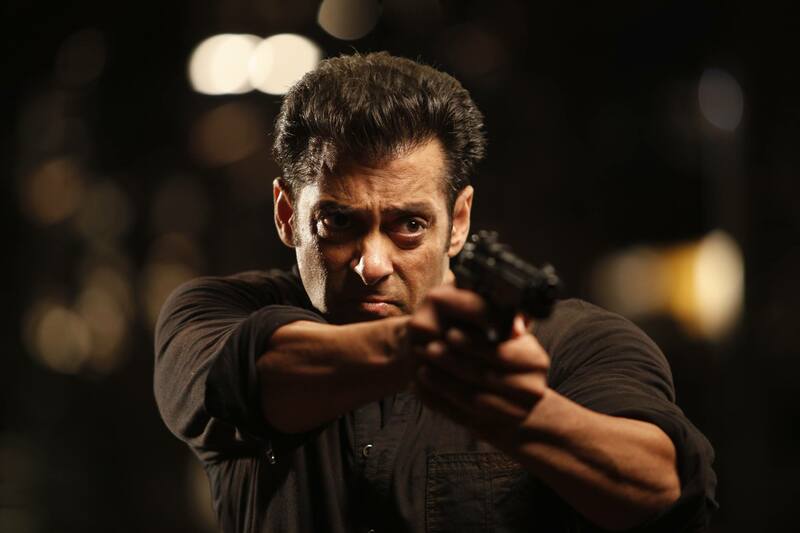 With Jai Ho, which releases on Friday, Salman Khan again stars in a movie with all of those components but then takes it up an emotional notch. The film, directed by Sohail Khan, tells the story of Jai, an upright common man who is fighting a solitary war against corruption and injustice. Honest and incorruptible, he has made it his mission to help as many people as he can. His mantra is quite simple: help somebody and then request that person to lend a helping hand to somebody else; thus forming an ever expanding circle of people helping each other. What happens next? Well, you’ll have to find out when you see the film. I got the incredible chance to talk with Mr. Salman Khan and it was a fabulous conversation about his passion for Jai Ho and so much more! Check out his amazing answers in this in-depth exclusive interview. What goes into your decision about which films you do? Mainly the script, Stacey. I belong to a family of writers. My father is a writer, so I just concentrate on the plot, on the script and then just about everything else – the producer, the director. But it’s mainly the script. If I like it in the first narration then that’s the film I want to do. 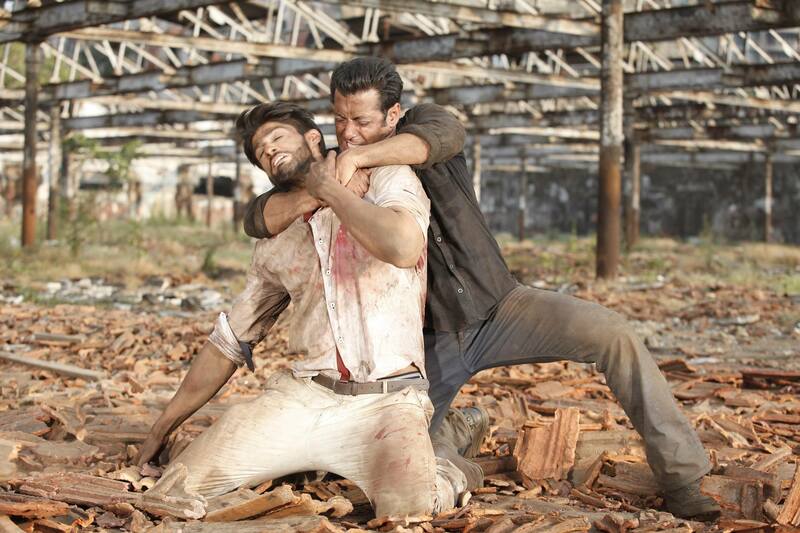 What was it about Jai Ho that really made you want to make this film? The concept of helping people. Usually when we help we keep it to a thank you and we end it there, but here with this film we go ahead and help another three. So basically it is paying it forward. That is the basic thought and then comes in all the action and the romance and the emotion and screenplay and the dialogues. With that concept of paying it forward being the heart of the film, what do you hope audiences will take away with them? You know, usually when the audiences come to watch a movie they take away your hairstyle, your dressing sense, perhaps a few lines here and there, but hopefully in this movie, when they watch the movie, they will take the soul of the character and then walk away with it. That must have been a really nice film to make, to have that essence and that soul. Yeah. We watched the film yesterday and it’s almost like the character came to life. Usually in India people repeat the dialogues and make us repeat the dialogues, but the meaning of these dialogues will be implemented in their real life. This is what I hope for. I get really influenced by movies so I am sure my fans, the people for who I do these kinds of movies, they also get influenced by my movies, especially ones like this one. I mean I know they get influenced by my movies, some of them hate my movies and some of them love them and you can see people with the bracelet that I own or the hairstyle that I wore for the film. There is a film called Tere Naam, it was an amazing film, but the character was a total jerk. So when I promoted the movie I told everybody to watch the movie. It is an amazing film, but do not follow the character. Those kinds of characters only live on the screen. In real life never follow a character like that. In this one I am saying just the opposite. Follow this guy. He’s an awesome guy to follow. I follow him. Do you think playing this character has changed you? I don’t remember the name of the film but they had this film, which had something similar like this – it was along the lines of giving it forward. So that pretty much changed the way I thought. My whole thinking changed and I thought that was pretty cool: giving it ahead – the idea that I don’t need it but when you get a chance to help somebody you give it ahead. Because you know at that point in time, you may not need it, but somewhere down the line, even being selfish, you may need it for your kids or for you grandchildren and then because you have done a good deed in the initial stages of your life somebody’s life you have touched, now somebody has come to help you out in a time of need. 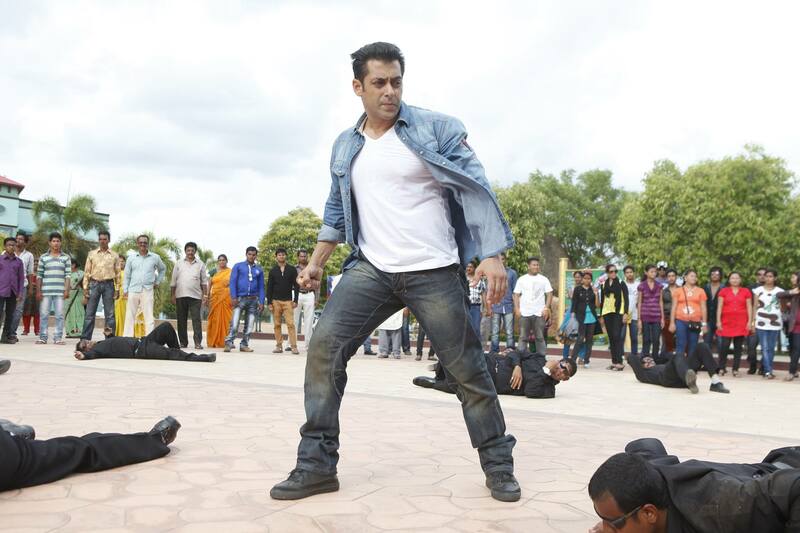 Why the title Jai Ho? But more importantly, my father had an objection to the title and rightly so. He’s a father in his concern for his kids. He didn’t think the title was appropriate. He said, “I’m not happy with this title,” and as kids we obeyed him and changed the title. We didn’t have a title. We said whatever it is, if our father does not want this title we will not keep this title, no matter what the fate of this movie is. If it doesn’t do well because of the title, it doesn’t track, it doesn’t get the excitement and the buzz, if it be a disaster, we don’t give a damn. We changed the title because he did not like it. Then he came up with this title; my name is Jai in the film and he came up with this title Jai Ho, which is a greeting. It’s a very polite greeting. It’s like wishing everybody to be victorious. Tell us about casting Daisy Shah in the film. I’ve worked with Daisy. She used to be an assistant choreographer. I’ve worked with her in a lot of movies and she’s absolutely a brilliant dancer. She’s very talented, very nice looking girl. The camera, the screen loves her. And the fact that she can catch the eye of just about every actor she’s worked with… she has something about her. At some given point or the other all the actors, producers and directors have looked at her and said you should be in the movies. So even if it would be just a line – you know guys tend to do that … she attracted that. So someone who attracts actors who’ve worked with the industries’ most gorgeous women there is something to her. And here this girl was playing a Gujarati girl, she is pretty up beat, the character is like a dancer and she is a dancer. So the character, the casting was perfect. And I am really happy the thought came into my mind that “Oh there’s this girl. Let’s cast her.” We screen tested her and we were bang on. And there are some pictures that do not require a big star. It’s like a girl next door – a big star playing it doesn’t look convincing, you know. So Daisy was the perfect choice for this movie. Then there is the lovely Tabu. I’ve worked with her in a few movies earlier. In this one it is different, she’s playing my sister in the movie. She’s an amazing actor. I’ve worked with her after 5 or 6 years and she has grown so much as an actor. I have to say she was absolutely perfect. 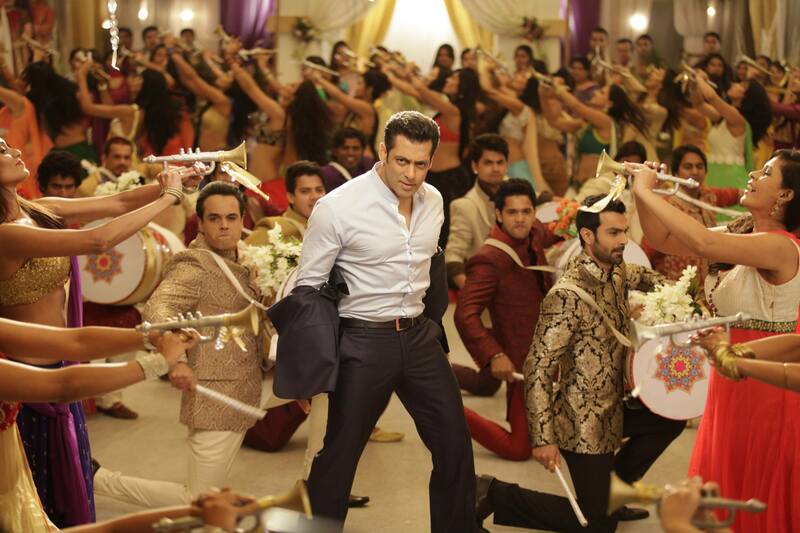 Tell us about the music of Jai Ho. Music is amazing. We have different kind of songs. We have a Guajarati track. Then we’ve got one Hindi-western kind of romantic track, then we’ve got an English track in the movie that is the most amazing track titled, ‘Love You Till the End’. It is full on English and for the club techno types. Then we have my introduction song, ‘Baaki Sab First Class’ with the lyrics ‘Apna Kaam Banta’ in which we are talking about the nara in the country right now. How the people are unhappy and how it is that India is a place where women are not safe, kids are not safe, how the farms are dry. So all that and yet everyone says everything is first class. What is it like to work with your brother Sohail as a director? It gets kind of tricky sometimes. Thank God he’s like 5 years younger so I get away with bullying him a little bit. But the amazing thing is that he’s got a lot of patience, he is very creative, he’s very spontaneous and he’s really chill – doesn’t stress at all. The way he shoots action, drama, it is larger than life. His emotional quotient, his content is perfect. You know how sometimes people get really mushy and stuff, he shies away from that. So it’s just the right amount so that you get that “oh my God” moment in the film and you get tears in your eyes. You get that. He has got it bang on. This is a very different film for him because before we’ve made like really stupid comedies and now this film is like larger than life action film, which has all those elements as well, that just takes it to a different level. Your films always include action, comedy, drama, dance, and romance and with this one, as you said, it has that extra emotional quotient, which do you find the hardest? For me to do is the physical because all the action here is done by me. All the stunts, except for when the glass breaks occasionally, all the action before and after that is the actor doing it. So it gets really taxing for an actor. How do you get into a place to do dramatic scenes? I mean I know it is an acting thing, but how do you get into that mindset? I am a kind of slightly dramatic person so that comes kind of naturally to me. (You can hear the smile) Then my comic timing comes from both of my brothers. So I am a lucky person who has borrowed just about everything from everybody. The anger comes from my father, the comic timing comes from my brothers, and the ability to choose the right script comes from my father. Whatever I’ve seen in my life I’ve used that in movies. That’s the reason why they look …ummm… well they don’t look real but you can use those dialogues in real life. I like watching films, which have heroism. I’ve always liked watching those films since I was a kid and those are the kind of films I am doing now so I am sure there are a lot of people like me who love watching these kind of movies and it’s proven that they are loving watching them because they have done well. You have always had tremendous support from your fans, what does that mean to you? It means the world. If I didn’t have that support today then you would not be talking to me, Stacey. I would have been behind the camera. I don’t know what I would have been doing but yeah I wouldn’t have been here. So I totally respect that and whatever I can do to repay that I try and do all that time. I appreciate that hugely. What do you think they are going to love about this film? I think they are going to love just about everything. The action is not like the action we’ve been doing of late. It’s slightly more stylized and realistic. It’s not one of those that you kick a bad guy once and he goes flying 20 feet. So it’s not that kind. There is a bit of that as well but the film is not that genre. This film is all heart. Every film does mean a lot to me but I am really attached to this film because Sohail’s releasing it and we tried to chose the best film for him to direct and to produce. It’s like every film that we do we just hope that we’ve made the film because we thought the film was an amazing film and we hope our thinking doesn’t go wrong. We thought the film is a really amazing film. We think we’ve made the film really well but if the audience doesn’t think so that means we have failed. So far the films that we’ve made, the films we are doing, the audiences are liking it. I hope it is the same for this one! Are you nervous because it is a little different than some of your other films? (Laughs) Yeah, it kind of gets stressful in the last few days or so of the release. You know, it’s like have you thrown a party and feared that no one would turn up? (Laughs) Yeah, I still go through that period. Talk to us about your work with Being Human. You know as actors we just keep on taking, we just keep on getting. And I have this thing that the universe has its own way of taking back what was given especially money. So before it starts taking it back from me I just thought the right thing to do was to give it away. So we do our little bit we can. Especially in our country, if I read that money can save a life and I have that – I would rather go for it. And they are kids, they are as small and they have alcohol problems and kids are dying of cirrhosis of the liver, cancer and heart ailments. They don’t deserve that. So if money can save that life then we are going to try and help. And we are getting a lot of support from the fans. We’ve got this Being Human clothing line and people love these clothes and are purchasing these clothes and that money goes straight into the charity. Now we are going to get into restaurants, and a lot of other stuff we have planned. So all the profit from these businesses that we do, which should ideally be in my pocket and I am spending it all, it is going to out charitable trust and we are giving it forward there. So it’s a good thing because as an actor it’s only that much I can earn. And I’m an actor in India and all the Asian people who’ve watched my films I owe it to them. And there’s a lot of people so one man can only take care of so many. So we try and involve them. You don’t buy clothes because the money is going to charity, you buy because the clothes are good – the product is good. Say for example a Versace or Armani or John Paul Gaultier, you don’t know them but the money goes to them. So out here the money is going back to the people. So everything that you buy, that money adds up into an operation. So if that money would have not been there that kid would have lost his life. So out here, with Being Human, every thing that you buy you know you would be saving a life. And like everywhere you have people who are insensitive and they don’t give a damn. You have these people who make the fakes and sell them and the fans, they think that they are real and the guy who is making them is the only one who knows this is not the original stuff. The guy who is selling to them on the street thinks he is selling Being Human and the guy who is buying it thinks that he is buying Being Human. So a lot of fake stuff is happening which we are trying to get a grip on, trying to control, it is a battle but we will do that. One of the guys has gone to jail and this time we hope they will learn. This has to stop. I love just about everything about it because I don’t get to do that in my real life so I do that onscreen. I would love to perform like that in real life but I really feel uncomfortable doing that. I think performing in real life is lying. After this is a film called Kick and that’s it. Then I am doing a film with the guy who launched me, Sooraj Barjatiya. And I am doing a film and the film production is called Being Filmy and all the money that we’ll make from there will again go into charitable trusts. It is the first film production that will be all for charity. What are your thoughts on Hindi films today? I think it is really, very difficult to make Hindi films. You know in American films you take a plot, and you follow that plot. But in a Hindi film, you take a plot, and then you have to keep on moving in and out of it. You know you have a straight plot, then you get into comedy, then you go into action, then you go into emotion, then you go into song, you know? In our films, we deal with a very simple line, family, wrong-right and good and bad. Those are the only films out here that do big businesses. In Hollywood you have your sci-fi movies, your rom-coms and they do really well. Out here that doesn’t work. So you need to have lived your life and experience a lot to make Hindi movies. And then you have to go and cater to the people who go and use this medium to go and not to learn but just to get entertained. This truly was one of my favorite interviews and I would like to thank Mr. Khan for the wonderful conversation. 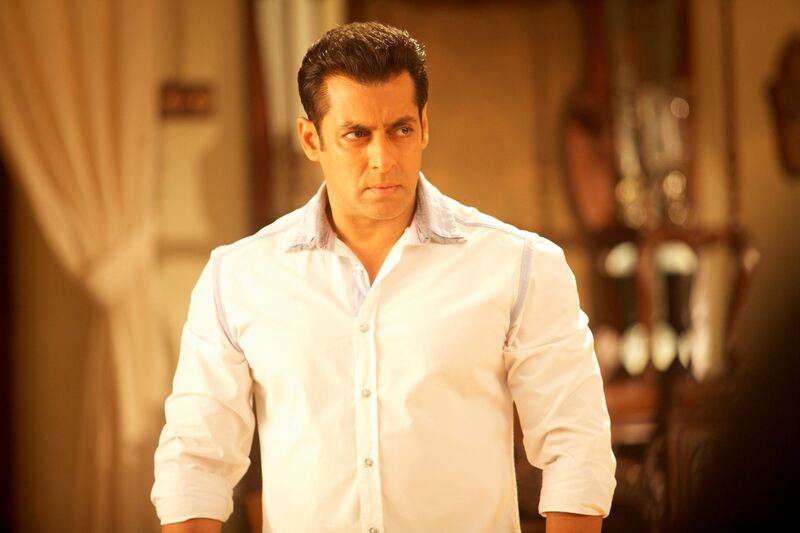 After talking with him I want to see Jai Ho even more now! Do not miss it!